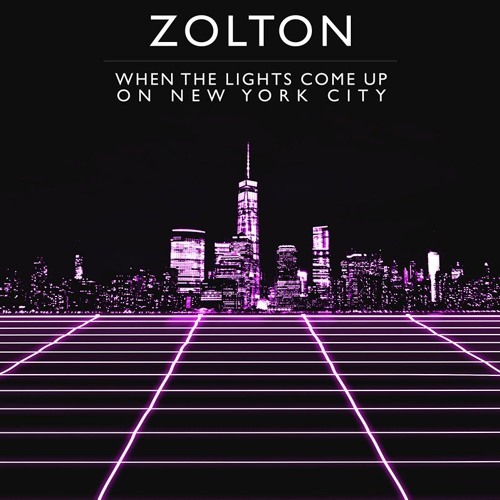 Sydney-based musician, producer, and songwriter Zolton, the alias of Zolton Zavos, has just unveiled his debut single When The Lights Come Up On New York City. What first caught my attention was the retro vibe of the song with its delicate piano keys and big 80s-styled synths! The smooth vocals give an airy/dreamy atmosphere to the track that is also packed with groovy beats, melodic hooks and an awesome guitar solo. Another cool thing about this song is its anthemic vibe, especially the chorus that got me humming in no time. If you are into synth-heavy pop music with a retro vibe, you will love this song. Stream it below! I wrote it about my first year living in New York when I met my now wife and we explored the city together fascinated by the whole energy of the place. I ended up living in New York for eight years, and they were the best years of my life. The song was written by Zolton Zavos, pre-produced by Michael Beinhorn (Soundgarden), produced by Taka Perry, mixed by Tony Hoffer (M83, Beck) and mastered by Ted Jensen at Sterling Sound in New York - an all-star team that combined to create a sound just as bright as the city from which the song took inspiration.